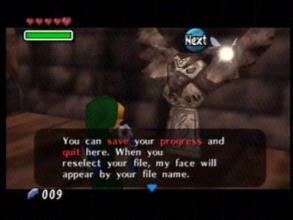 One of the many big changes in Majora’s Mask 3D is the addition of “Feather Statues,” giving players the ability to save at any time (in contrast to the Nintendo 64’s Owl Statues). Keep in mind that this information was taken from Amazon Germany’s description of the game, and has not been confirmed by Nintendo yet. If you’re interested in the full description, hit the jump for more! It is unclear whether or not this is false information, but hopefully it will be cleared up in an upcoming Nintendo Direct. What do you think? Would you prefer the traditional Owl Statues or this new method of Feather Statues to ease the game? Share your thoughts in the comments below!